Get ready to dive into an underwater world with Dory, Nemo and more at the Oracle Arena! 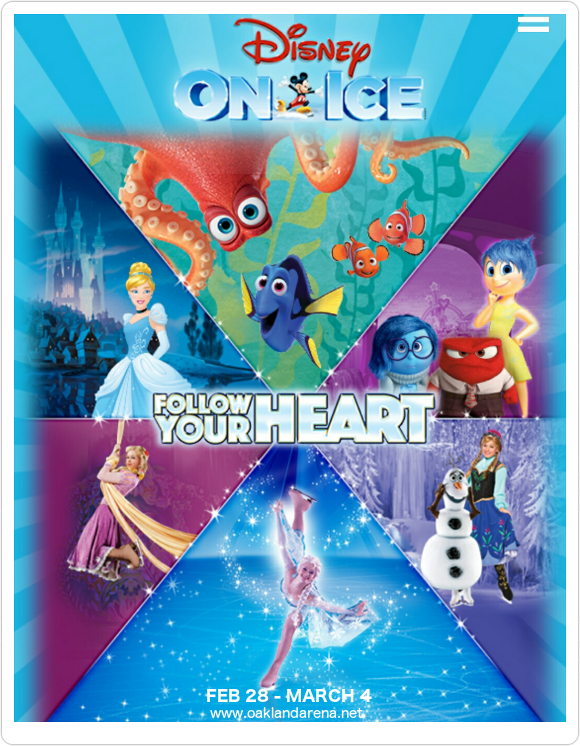 Disney On Ice: Follow Your Heart is coming to Oakland for five days only, starting on Wednesday 28th February 2018! Featuring over 60 Disney characters from various shows and movies, Disney On Ice is a delight for children and the child in all of us. What are you waiting for?? Experience the magic for yourself – grab your tickets now! !